Accessories maker Nyko has numerous products on multiple platforms. 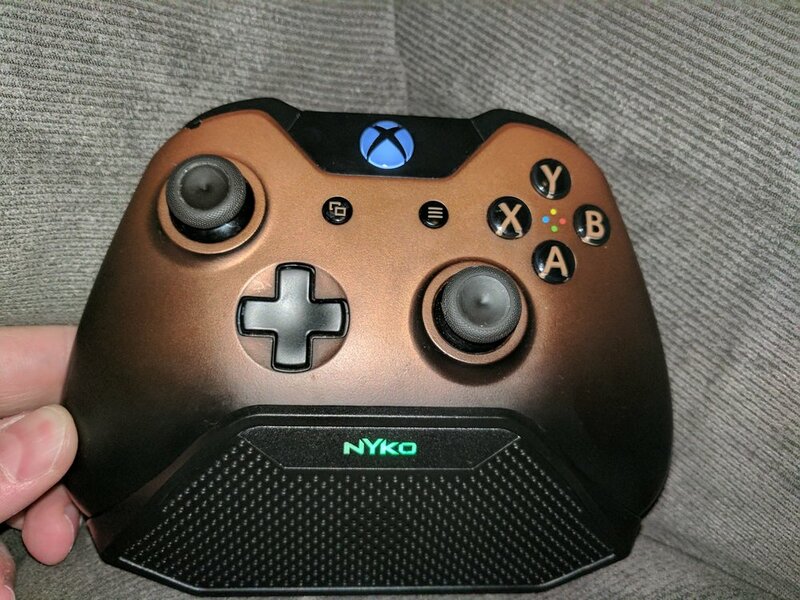 For this past week, I have been playing around with one of Nyko’s more obscure products, the SpeakerCom for Xbox One. The SpeakerCom is exactly what you would expect from its name, a speaker and mic combination that attaches to the bottom of your Xbox One controllers. While plugged into your controller and powered on, the SpeakerCom functions just like a traditional headset. Game audio and chat play through the one speaker on the unit. Sound quality out of the little speaker isn’t the greatest but it is more than passable considering the main function is meant to be voice chat. To prevent your friends or teammates from hearing your game audio, Nyko included two push-to-talk triggers on the back of the unit. These triggers act like a walkie-talkie; once pressed all audio output from the speaker is silenced and the microphone turns on, broadcasting your voice. In all my tests the microphone output clear voice quality so whether you are using it for voice chat or Cortana it works as intended. Being self-powered the SpeakerCom includes a dedicated power button and micro USB charging port. To finalize the package Nyko included a volume roller. Attaching firmly to the bottom of the controller, the SpeakerCom feels solid and is aesthetically pleasing. The power button sits directly behind the controller where it won’t be accidentally pressed during gameplay. The two push to talk triggers are a green color to help them stand out against the black of the unit. I have larger hands so this might not be the case for everyone, but the triggers also rest nicely below my pinkies. 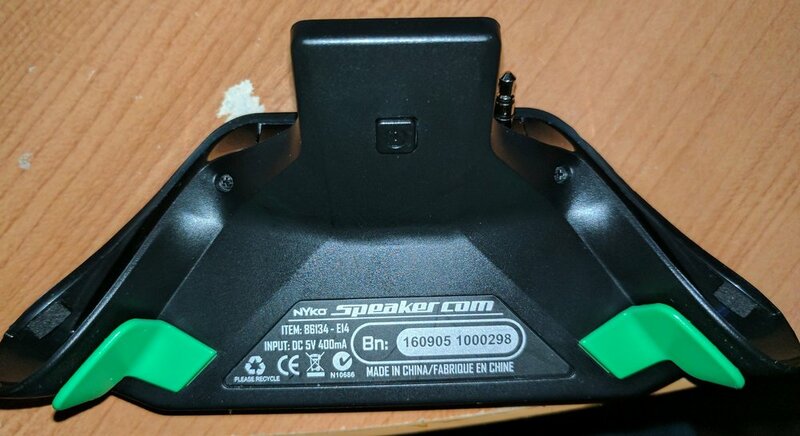 On the front of the SpeakerCom is a Nyko logo that glows white when powered, pushing the talk triggers switches the white to green to indicate broadcasting which fits nicely with the color scheme of the triggers. I am not personally fond of the SpeakerCom being self-powered, because of this the unit had to include a dedicated power button and charging port. In future revisions, I hope Nyko will power the SpeakerCom directly from the controller. Despite my personal preferences for powering methods the SpeakerCom works exactly as advertised. If you happen to be someone looking for a way for multiple people to talk over a single mic, the 24.99 SpeakerCom is for you. Hyperkin Duke Review: The Glorious Return Of The King!